Just two weeks ago, the Washington Capitals defeated the Edmonton Oilers at Rogers Place with a dominating 5-2 victory. Sunday marks the second and final time these two teams face off against each other this season. Capitals defenseman Brooks Orpik said that while video footage and other factors help the team become more prepared for Western Conference games, these match-ups are different from games that have preceded it, given Edmonton’s youth, talent and speed. The Capitals have won four of their last five games and are looking to carry that energy and momentum over as they take on the Oilers, a team that is still trying to find its rhythm and have won two of its three games so far on this Eastern Conference road trip. For Washington, there are many different factors to take into consideration, according to Orpik. One is size. 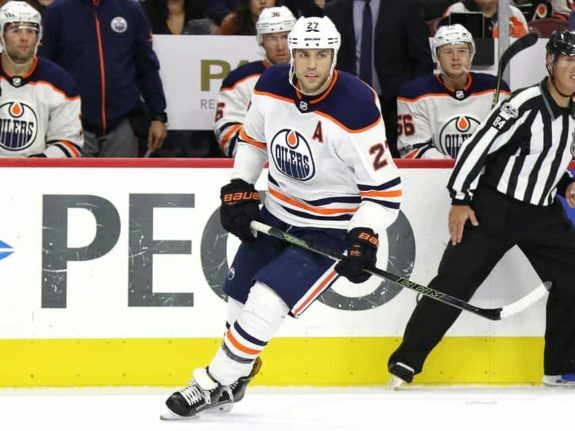 The Oilers have a handful of big, physical players in guys like Milan Lucic, Patrick Maroon and Darnell Nurse. 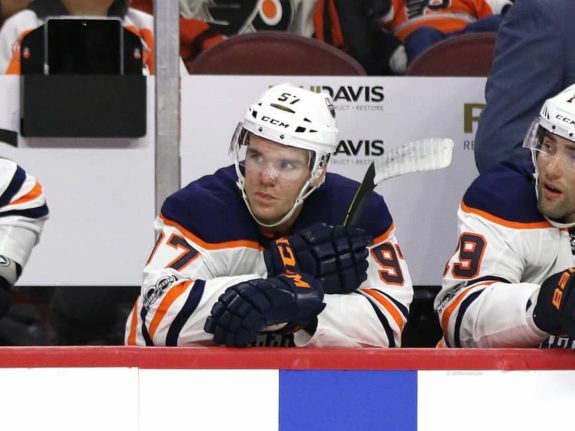 The other concern – and obviously the biggest – is shutting down Connor McDavid, the beyond-his-years 20-year-old captain. He’s riding a three-game point streak and has seven goals and 19 points through 16 games. Not only that, but he and Leon Draisaitl make up one of the most lethal one-two punches in the league. According to Orpik, his one-on-one ability and skating are what make McDavid so dangerous on the ice. “Where he’s at his best is in transition, where he can get defensemen without having a good gap, and once he gets a little bit of space between him and the defensemen, that’s usually where he eats guys alive,” Orpik said. While Washington will likely entrust John Carlson, who averages over 28 minutes of ice time per game, as well as their young defensive corps, they will also look to their top line of T.J. Oshie, Nicklas Backstrom and Chandler Stephenson to shut them down. When asked how McDavid compares to a player like Sidney Crosby, Oshie said they are very similar and that the Caps use the same mindset to stop both of them. Head coach Barry Trotz also acknowledged McDavid’s skill but also compared him and Draisaitl to a couple of Washington’s star players. The Oilers are looking to rebound following a 4-2 loss to the New York Rangers on Saturday, and the Capitals are looking to extend their home-ice winning streak to four games. 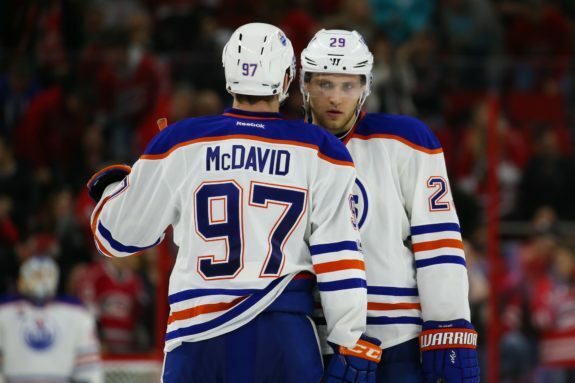 According to Orpik, the Capitals will try to keep up with the Oilers’ pace throughout the game, while also taking good care of the puck, especially when it comes to keeping it from McDavid.